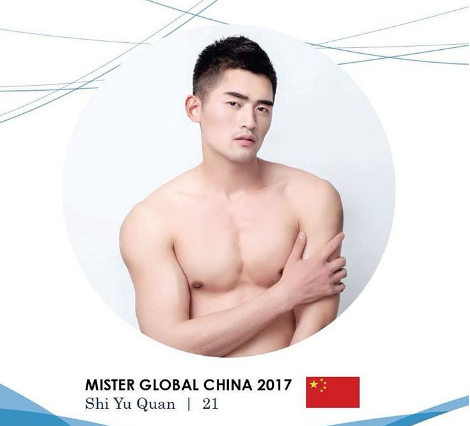 Shi Yu Quan is Mister Global China 2017. He is a 21-year-old model and student from Beijing and has worked in leading fashion week in many Chinese cities like Beijing and Shanghai. Shi Yu Quan stands at 186cm tall and his ambition is to because a professional model and actor well known nationally and globally.